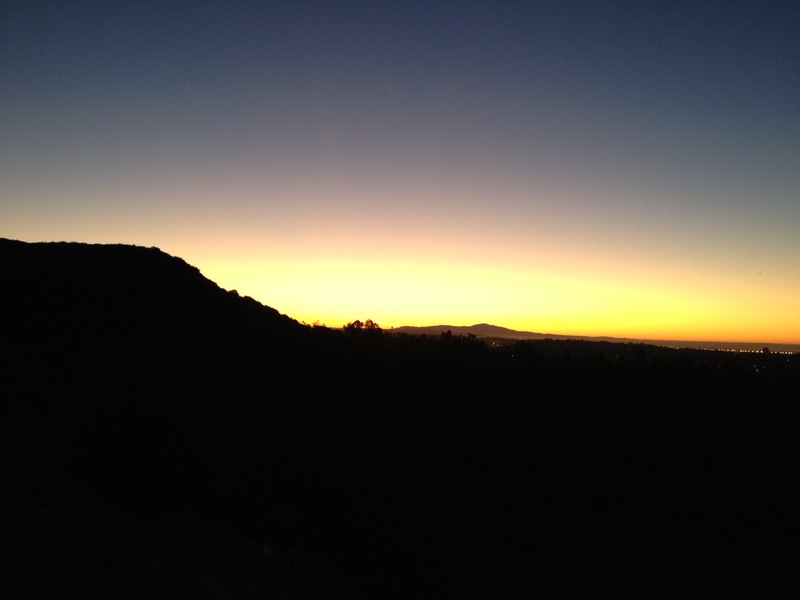 First light on a spring morning at Griffith Park. Last spring I started going for hikes at sunrise, on a trail at Griffith Park that provides spectacular views of Los Angeles. As a hike progressed I could watch the city lights fade and see the rising sun gleam in distant high-rise windows. The cliffs and chaparral in the Park were shadows that slowly grew more distinct in that golden light that only comes at dawn. I knew when the sun was about to crest the horizon because that is when so many birds began to sing. These hikes quickly became my favorite pastime. I couldn’t convince friends or family that they were worth the excessively early rising, so I went by myself. 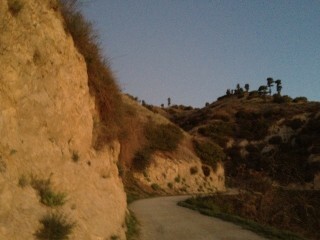 I feel safe hiking solo at Griffith Park because I stick to the popular trails and there are always people around. As spring headed for summer, dawn came earlier, and I started my hikes earlier to accommodate. I assumed that the other early hikers were also there for the sunrise. But apparently they were just – early hikers, and they didn’t keep adjusting arrival time to match the sunrise. One morning I discovered I was the only one around. No cars. No other hikers. No dogwalkers. No park guys doing clean up. “Aw-wuh!” He was disappointed but fortunately he kept going. A few minutes later, I could hear human howls echoing from deep back in the hills. Probably he was harmless but I greeted the next hikers I passed with considerable enthusiasm. I decided the moral of this story should be go later or bring the dog and that is what I have done since.